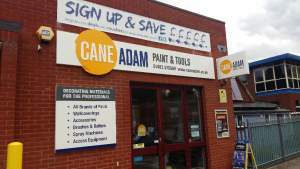 Cane Adam has been providing tradespeople and homeowners in Guildford with paint, wallcoverings and decorating sundries for more than 30 years. 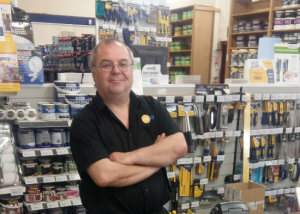 Inside the recently refurbished store you’ll find a good supply of paints and decorating products, accessories and equipment. 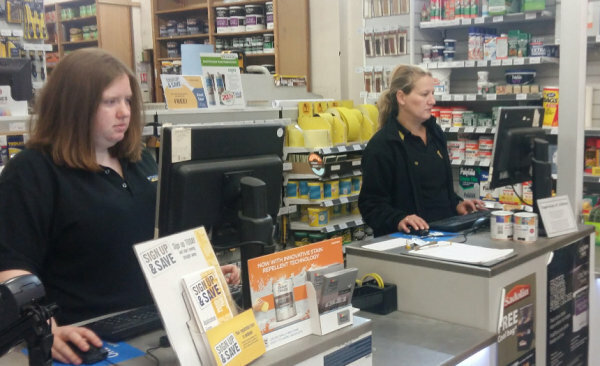 We also have Wi-Fi access so you can order any designer paints or other supplies directly into store within a day or two. Our team has been with us for years and know our products well, so don’t be shy about asking us for help and advice. We’re well away from the hustle and bustle of Guildford town centre and there’s ample customer parking, including disabled bays, and the store is fully wheelchair-accessible. You’ll find us on your left on the A323 Broad Street just as you leave Guildford en route to Aldershot. Travelling out of Guildford on the A323, at the roundabout take the first exit on to Broad Street, continue on taking the first exit at the next roundabout, then the first turning on the left on to The Pines. Travelling through Wood Street Village, continue along Oak Hill and on to Broad Street. The Pines is the first turning on the right before reaching the roundabout. The entrance to the branch is found by turning into the Ind estate and then immediately left. You will see us on the left. There is parking directly outside.